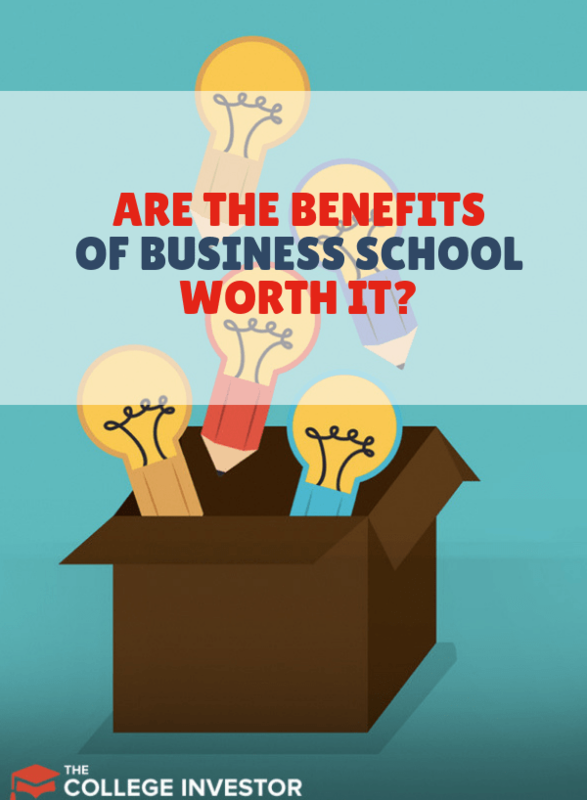 Are The Benefits of Business School And Getting An MBA Worth It? 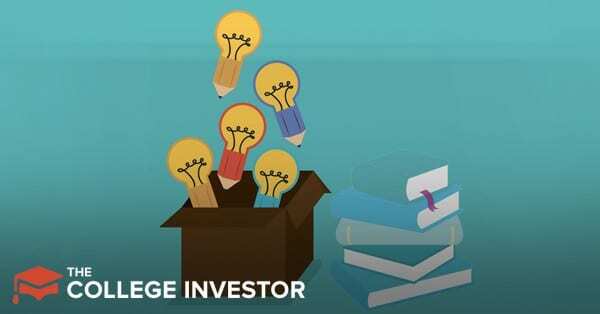 Home » Are The Benefits of Business School and an MBA Worth It? The thought of going back to business school appeals to those who want to boost their income and advance in their career. However, business school can cost anywhere from $20K-$150K per year, so it is critical that the benefits of business school will outweigh the costs. Even the average cost of $60,000 is too expensive to "find yourself". If you're thinking about going to business school, you should do so with specific purpose and be working to realize specific benefits. You need to have a specific ROI on the investment in your education. I received my MBA and I can honestly tell you that it was only worth it because it was free (my employer paid for it). The true out-of-pocket cost of $80,000 would NOT have been worth it. With that being said, these are the questions that you should answer before pursuing an MBA. Is This The Best Way To Bolster Business Skills? Will My Professional Network Expand? Can I Expect A Pay Raise? Do I Need To Know The Language Of Business? Who Will Pay For Your MBA? So, Are The Benefits Of Business School Worth It? Many individuals choose to go to business school to gain business credibility in the corporate world. Businesses want employees who have proven strategic business skills and top shelf communication skills, and an MBA signals that you are the type of person who will ask the right questions and make sound decisions. Having an MBA demonstrates your commitment to understanding the business perspectives of decisions, and it shows that you can communicate with a variety of people, even executives. The credibility that you gain from an MBA works far beyond the interview room. Consultants and technical salespeople will make quick inroads at companies when executives realize that these people know how to make strategic decisions. For many people though, credibility won’t be worth the cost. Small business owners and self-employed people know that their real value comes from serving their customers well. Even within the corporate world, a top tier performer won’t need an MBA to bolster their claims of value. If an MBA doesn’t enhance your credibility, then it is just expensive initials behind your name. The value of credibility comes down to your circumstances and your career aspirations. However, there are still some corporations whose "politics" will require a higher education degree. In these companies, make sure you really compute the ROI before you make your investment. Or better yet, make them pay for it. Formal business training allows students to gain technical business skills that complement their real world experiences. Whether you need to learn a formal framework for decision making or how to keep pace in an increasingly digitized world, business school can offer you the theory, hard skills and know-how that you need to continue self-teaching on your own. Business schools provide a basis of knowledge that will allow you to adapt to a changing marketplace, understand best management practices, make decisions in the face of ambiguity, conduct cost and benefit analysis, and perform advanced risk assessments. These are the types of skills employers want, but they can also help you if you’re self-employed or a small business owner. Careers in general and small business ownership in particular can be full of volatility, and having sound decision making frameworks can give you the skills you need to thrive. On the other hand, with enough initiative, you may be able to gain these skills on your own. Subject matter experts offer online training through sources like Udemy, Khan Academy, and Coursera, and you can read books by experts or subscribe to Harvard Business Review. Self-paced learning isn’t the same as the business school experience, but in some circumstances it may offer even more value, since you can tailor your learning to your experiences. The skills you learn in business school are complementary to real world experience, but it’s worth considering if you can get the same skills at a lower price. From my own experience, this is one of the main drivers behind my choice to go to business school. I wanted to gain more business technical skills than I had already. Sadly, I didn't get much use from the stuff I learned in business school. I learned so much more doing it myself in my online business and by watching and following other experts in the field. I felt that my experience in business school was very much "how business was in 1985", and not enough "how business will be in 2020". The digital revolution makes connecting with others easier than ever, but nothing replaces the value of a face to face connection like the kind you’ll make at business schools. Business schools brim with the best and brightest, and some of your classmates will go on to become Fortune 1000 executives or start exciting businesses. Studying with this type of person may help you grow the type of professional network that will help you succeed. In addition to networking with other students, Business Schools (especially top tier business schools like Harvard, MIT or Cornell) have engaged alumni networks that might help you land your first high paying job out of business school. When you properly nurture your network, it can be your most valuable professional asset, and an MBA program gives you unprecedented access to people who can connect you with opportunities. However, having access to other MBAs is no guarantee that your network will improve. The network that you’re most likely to gain through an MBA are people with experience in finance and large corporations. If you want an entrepreneurial business partner or to meet top players in a niche industry, then an MBA may not be right for you. Even if an MBA program offers you the right networking opportunities, you have to nurture those connections. If you’re too busy with a full time job, academic commitments, and other family and friends you may come away from business school with only a few weak links. Many people will find their best connections through attending industry specific conferences, and by connecting with people who live near them rather than through business school. I can safely say that the professional network I build during my time in business school was the most valuable aspect of my program. Years later, I'm still in contact with my cohort, and they provide invaluable connections and knowledge whenever I need it. It's amazing. Was it worth $80,000? I don't know. But it clearly was the biggest value-add of my experience. Can I Expect A Pay Raise With An MBA? According to the Bureau of Labor Statistics, people with professional degrees (like an MBA) can expect to earn almost $28K per year more than those with just a bachelor’s degree ($1,639 per week vs $1,101). Many of the highest paying corporate jobs are reserved for people with MBAs, and in some cases an MBA will translate into years of meaningful experience in the eyes of people offering you jobs. Of course, a pay raise isn’t a guarantee. Some people will graduate from business school with tons of student loan debt and no increased opportunity. The key to obtaining a pay raise is the ability to market your new skills to the right people, and consistently applying your learning in the business setting. Small business owners, self-employed people, and people who intend to stay in their previous field are less likely to experience a significant pay bump than those who use the MBA as a bridge to a new career. According to a recent US News survey, the average MBA holder earns $90,000 per year five years after graduation. It also depends on what school your graduate from. If you get an MBA from Harvard, the average salary is $225,000 five years after graduation, but when you look at the bottom of the list of schools, you'll see salaries in the $84,000 per year range. That can be a tough pill to swallow if you only earn $85,000. Within the corporate world, each business function from sales to finance has its own language. To achieve corporate success, you need to know those languages, and business school teaches you these languages, so you can communicate with all teams in a business. You will also learn how to read and interpret business statements which is a skill that will allow you to better manage your team to achieve your business goals. Like learning any language, learning the language of business requires intentional practice, and business school offers the opportunity to learn that language in a way that corporate experience never offers. However, your career aspirations may not require that you know the how to speak effectively with every business function. For some people, gaining communication expertise within their business function will allow them to accelerate their career while other people may see the most success by learning the business language of their clients or customers. Remember too, that each company uses its own language as well. You might be better off getting a job at a great company and working for a couple years, versus spending a lot of money to try and learn something you could get paid to do. If your company will pay for most or all of your MBA program, then the benefits are likely to outweigh the costs. When the only cost to you is your time, then pursuing an MBA offers huge potential benefits at a low personal cost. My company paid for my MBA via tuition reimbursement, and I think the fact that I didn’t have to pay for my degree made the experience worth my time. People who receive significant scholarships or other forms of funding may see business school as more worthwhile than those who don’t. On the other hand, people who quit their jobs to pursue business school will need to see some compelling financial ROI for business school to be worthwhile. In addition to the high cost of tuition (often more than six figures per year), full time students sacrifice their salary and side business opportunities to obtain their degree. If you need to borrow, make sure you look at the best student loans to pay for your MBA. There are specific loans that make sense to use when getting an MBA. So, Is An MBA Worth It? Well, like everything in life, it all depends. Who pays for business school may be the most important consideration in deciding whether or not business school will be worthwhile for you. But there could be other issues that play a huge role in it for you. I think, like everything education and money related, you need to do a real Return on Investment calculation about how much you're going to spend, and what you think your post-graduation salary is going to be. Luckily, business school still tends to be a real salary booster for most people. If you're debt free going into business school, and plan on spending $60,000 - you should expect your salary to increase by at least that over the first 5 years post graduation. If it doesn't, the ROI might not be there. Once again, though, look for alternatives to paying, like tuition reimbursement. It makes an MBA much more reasonable for the price free. Readers, what are your thoughts on the benefits of business school?